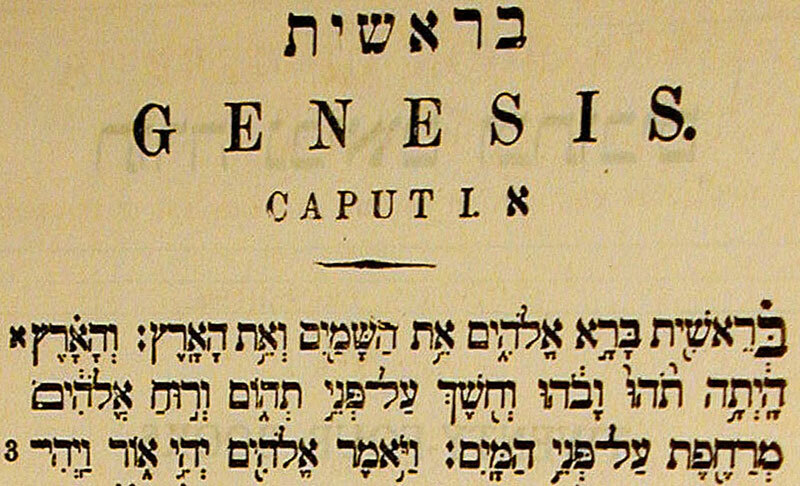 Genesis in the original Hebrew. Today is Beauty of the Bible's one-year anniversary (or as my good friend Robert Jimenez from Inquiring Minds calls it, bloggiversary). It has been a fun and exciting year. I hope and pray that 2009 is as great as 2008 and better. Move from Blogger to Wordpress: April 23, 2008 (The Believer's Journey). Total Readers (since the move): 6,872. Most Read Post: So Many Translations, So Little Time (399). Least Read Post (since the move): Scofield Study Bible: An Oldie But Goodie (10). Busiest Day: September 11, 2008, What Makes A Bible Translation Authoritative: My Top 5 (172). Post With Most Comments: Genesis 1:1 and God's Great Ambiguity (26). Most Clicked Item: How to Read the Bible: A Lighthearted Look at a Serious Question. Largest Referrer :ESV Blog (140). *First Child Born*: Libby Grace (June 2008).